Before I started Banting I was constantly hungry, was craving bread all day long, couldn’t control portion sizes and had given up hope of losing weight. Then I heard about it from reading and watching various articles/TV programs featuring Tim Noakes. 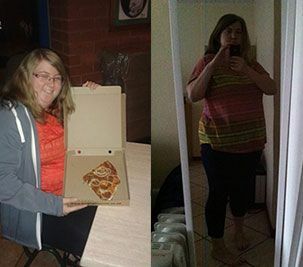 What happened next was after reaching over 100kg on the scale at the beginning of this year I decided something needed to change. I did more research on Banting and decided to give it a go. And now I am feeling much better. I am more confident. The weight seems to be almost magically melting away, progress is slow but steady and am fitting into clothes I was wearing a year ago. I am no longer constantly hungry and have lost the craving for bread. My portion sizes are much smaller, I find myself sometimes battling to finish a full plate of food whereas before I often used to have seconds and both plates would be much bigger than currently. I am definitely eating less on a day to day basis and eating more veggies as well. My final comment on Banting is it’s awesome! Lol Banting has changed my life and my views on food. To be losing weight and eating such yummy food seems unbelievable sometimes but it’s definitely happening. I find it sustainable as it’s not just about losing weight but fixing your health which controls your appetite properly and fixes other health issues.